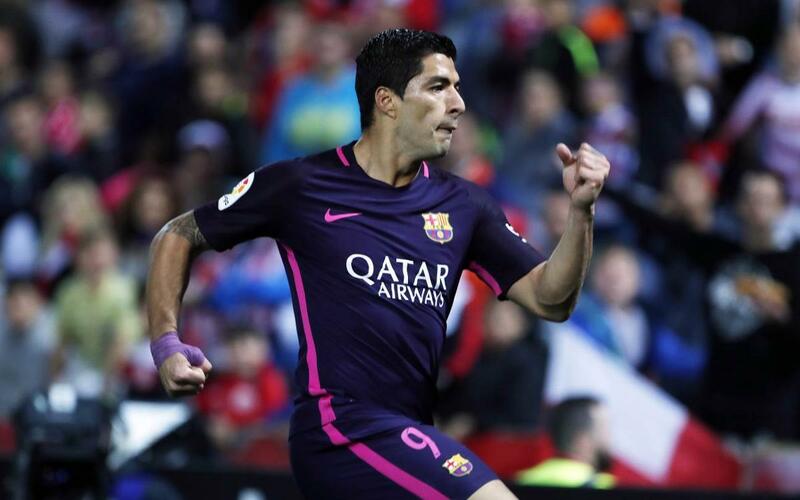 After scoring a hat-trick that sealed the league title on the final day of last season, Luis Suárez enjoyed another successful day at Los Cármenes on Sunday, helping the team to a 4-1 win. In the absence of Leo Messi, the Uruguayan stepped up to the plate by scoring the game's opening goal in magesterial fashion, before laying on an excellent assist for Paco Alcácer. He also played a part in build up to other two goals of the game, once again proving his pivotal importance to the team. It took three good efforts on goal that were denied by Ochoa before he finally struck on the stroke of half time, but it was worth the wait. He now has 23 goals and 10 assists for the campaign. You can enjoy his best moments from the game via the above video.